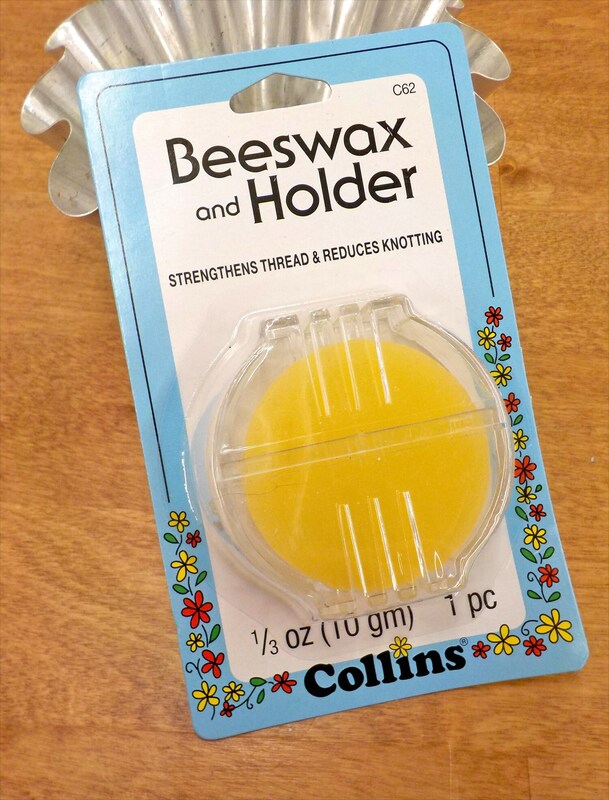 Beeswax and Holder...strengthens thread & reduces knotting...Collins Notion. A perfect way to reduce knotting...just coat your thread with beeswax. This handy holder has slots to make it easier. Can be used on zippers, your iron, and drawer tracks...to name a few.